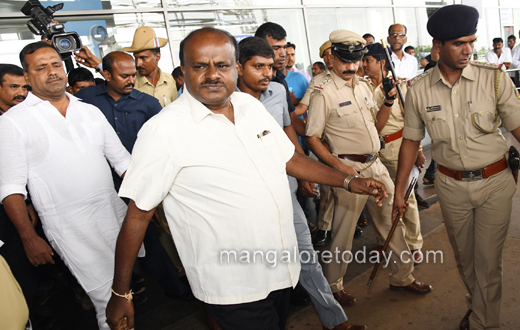 Mangaluru, April 7, 2019: Chief Minister H D Kumaraswamy who has questioned the contributions of Prime Minister Narendra Modi to Mangaluru, he wondered what message the Prime Minister would give to Mangaluru during his visit to the city. 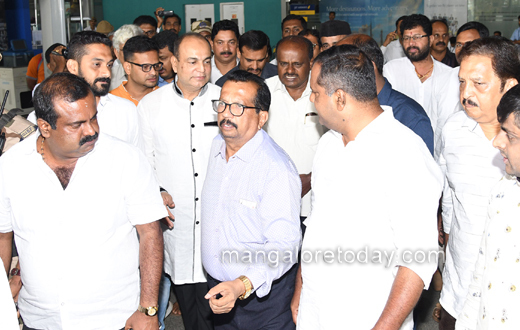 The Chief Minister who has arrived in the city to campaign for Congress candidate Mithun Rai, while referring to the BJP call to vote for Modi said the Modi Government has handed over Mangaluru International Airport to a private company and has merged the profit making Vijaya Bank with Bank of Baroda. "Should people vote for Modi for this sake? This is the question of self-respect of the people of Mangaluru," he added. He said Congress President Rahul Gandhi was scheduled to visit Mangaluru on April 13, however as Modi is visiting that day, Rahul’s schedule has been changed. 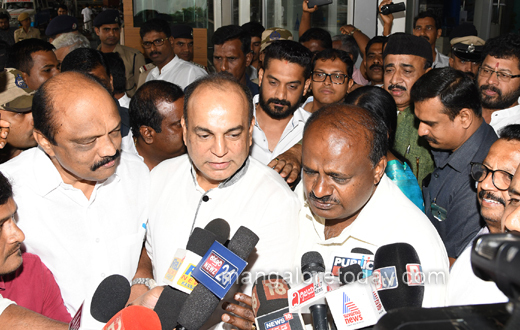 He said he has held talks with DK and Udupi District in-charge Ministers U T Khader and Jayamala and other leaders to ensure the victory of Congress candidate Mithun Rai and JD(S) candidate Pramod Madhwaraj in DK and Udupi-Chikkamagaluru constituencies respectively.